We desire for Sunday gatherings to be multi-generational and value having children in the room. What is a Family Sunday? Multiple times throughout the year, we hold what we call a “Family Sunday”. On these Sundays Citylight Kids classrooms are offered for only infants through age 4. But, whether it is an official “Family Sunday” or not, we love having children in the room! Children have two opportunities to gather to worship on Sundays: in Citylight Kids with peers, or in the multi-generational gathering. Both types of gathering offer unique opportunities for discipleship. Deuteronomy includes many passages that give instructions on passing on faith to the next generation. We see the call to parents to disciple their children (Deuteronomy 4-9), but also see the instruction given to read the law in the hearing of men, women, children, and sojourners in order that they may learn to fear God, and so that future generations not yet born would as well (Deuteronomy 31:12-13). Because of this, we see intergenerational worship as not simply a novel idea, but a necessity for the spiritual formation and discipleship of our children! Kids are not tomorrow’s church: they are the church right now. Kids begin to embrace their unique role and gifting in the larger church body when they worship with people who are not their age, not their race, not their gender, and not their parents. 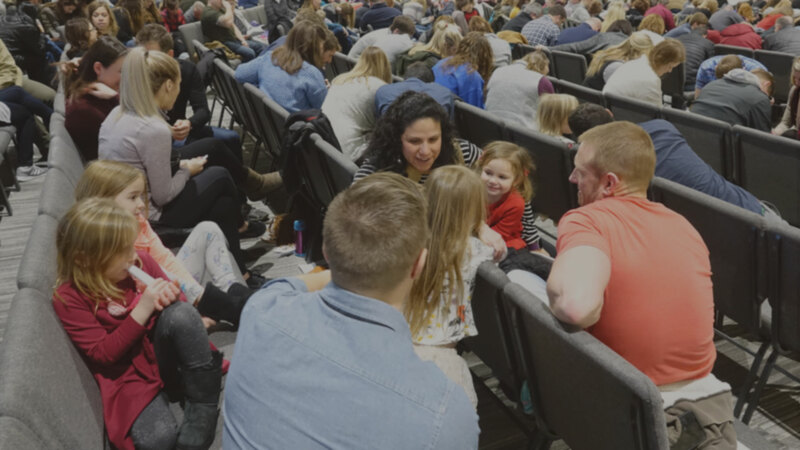 And when kids see their parents worship, they begin to see the real way faith in Jesus impacts the lives of the adults who are most important to them. Pray with us that Family Sundays impact the lifelong faith of children and families!